New Winter 2018: Cheer him on to fitness and success with a personalized running ornament that will be an instant and forever favorite. The live to run, run to live personalized ornament features a happy runner in full stride and bright smile with a sign pointing wherever you want it to go. 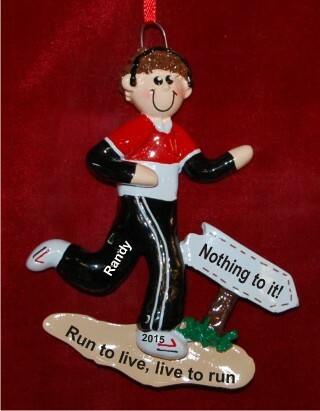 As a personalized runners ornament, this one arrives with his custom details including a sentiment you compose. 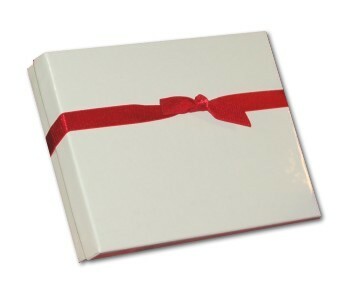 The details are painted by hand in a handsome font to create a personalized gift that is truly unique. We have a female runner companion to the male runner personalized Christmas ornament, so they are great for any running couple on your list.